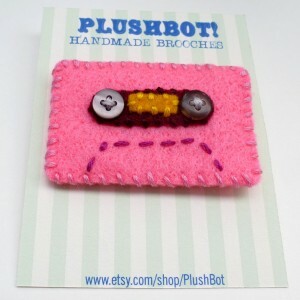 Show you old school style with this swanky cassette tape pin! 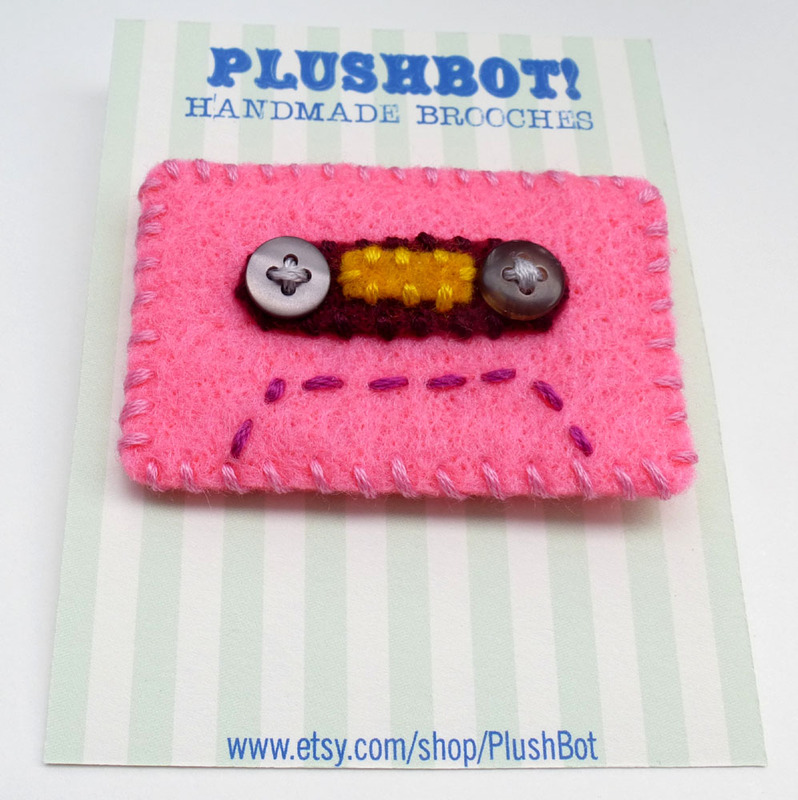 This brooch measures 2 1/4 inches wide and 1 1/2 inches tall. It is all hand sewn from felt, buttons and embroidery thread. A nickel plated steel bar pin attached to the back. Available on Etsy.